Standard Oil tycoon and railroad magnate Henry Flagler is considered by many to be Florida’s first modern developer. 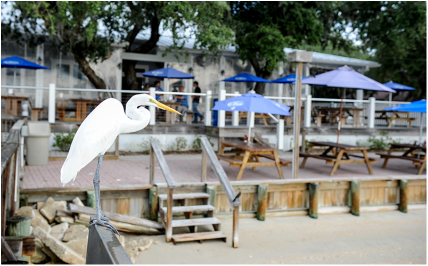 He discovered St. Augustine while traveling with his wife in the late 19th century. Seeing not only a need but a lucrative opportunity to build luxury accommodations and rail transportation throughout the state, he transformed St. Augustine into the winter playground of the rich and famous. On the afternoon of February 11, 1900, Flagler and a group of men brought their boat up to a rustic fish camp on the sandy shore of the Tolomato River. Flagler asked the owners—Frank Andreu Usina and his wife, Catherine—if they would prepare a meal of roasted local oysters for his party. The Usinas obliged and, afterwards, a hat was passed for a contribution. The Usinas received more than a week’s salary at the time. Frank Usina was a descendent of one of the families of indentured servants from the Isle of Menorca who escaped from a failed English colony in New Smyrna and fled to the safety of St. Augustine in 1768. He and his bride, known by the family as “Aunt Kate” shared Mr. Flagler’s entrepreneurial sensibilities. They expanded their rustic camp and began serving meals of fresh oysters, clam chowder, potato salad, baked beans and biscuits. Occasionally chicken or shrimp pilau or fried fish was offered. 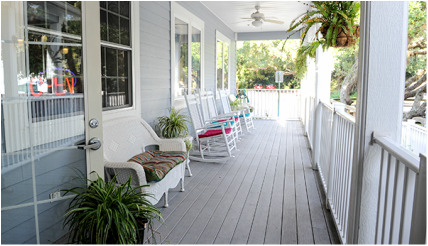 A vernacular frame building was erected in 1910 and a boat was purchased to transport guests from St. Augustine. The building housed Usina’s Pavilion and then Oscar’s Old Florida Restaurant until it burned in 2001. 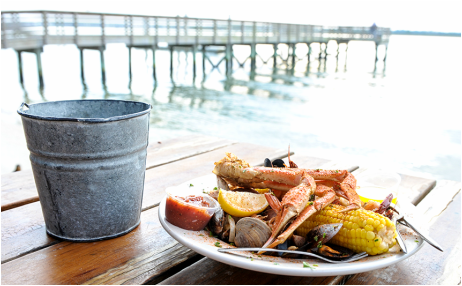 Today the tradition continues of serving fresh local seafood and Southern specialties to visitors and locals alike. Though now they come by car as well as by boat, the vista from the shore is nearly unchanged. 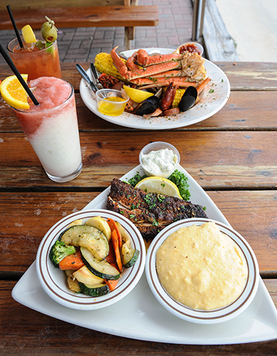 Now the menu features a wide variety of selections including steak, ribs and chicken dishes, but Menorcan clam chowder, steamed oysters and fresh local fish are always offered. 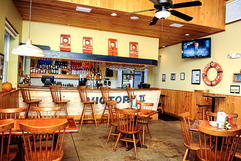 The new restaurant retains the same rustic, Old Florida feel as the original building. 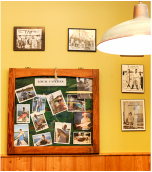 Family photographs and memorabilia adorn the walls telling the story of the Usina family and the guests they have welcomed over the years. The bar is crafted from the hull of the Victory II, the sightseeing boat the Usina family operated for decades. 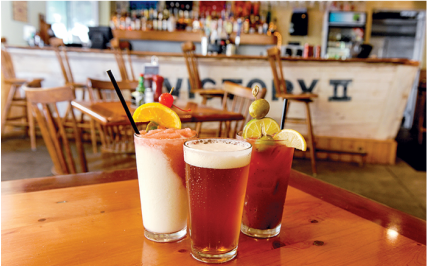 Choose from specialty frozen drinks, a spicy Blood Mary or a frosty draft beer.